Circuit training: the final circuit training session takes place this evening in the running complex at 7:00pm. Try and make it to the last one if you can. This will be replaced the following week by our weekly track session at 6:15 in the CBS – this will be our main running session for the rest of the tri season. Training timetable: a new training time table was agreed upon at out meeting last Saturday. Full details of this new time table will be made soon. Events meeting: a very productive and combative meeting was held in the Abbey Court on saturday. Despite the distractions in the lobby and the wandering eyes, we managed to get a lot of new ideas signed off on. Now it’s a case of getting things organised. It’s safe to say that from April onwards things are going to get interesting. More details will be put online during the week. Weekend racing: It was a successful weekend for the senior cycling team as we managed to secure our first points of the season. I think Kenneth was first to win his points so he has the honour of being first Nenagh CC man to score for our new club! 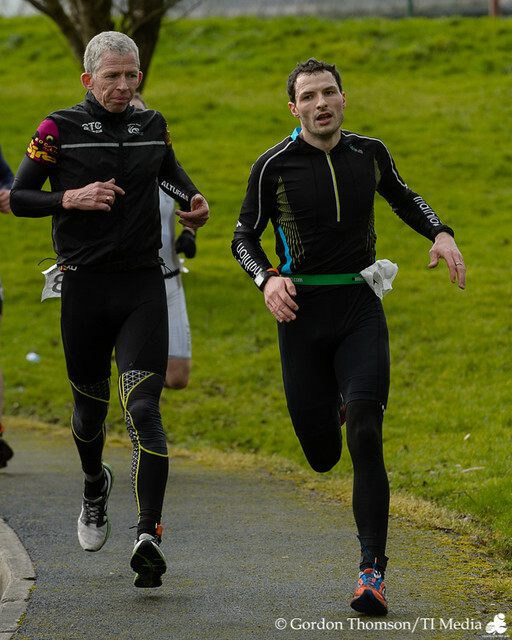 Limerick Duathlon: There was a large turnout of 220 people at our near neighbour’s duathlon. The club were represented at this by Eoin Woolley who finished in 23rd overall. Lacey Cup: The first race on the Munster cycling calendar took place in Tralee on Sunday. Nenagh CC were well represented at this race with Gary Scully, Shane Scully, Alan Loftus and Bob Murray in the A1/A2 race, and Kenneth Kennedy and Graham Prendergast in the A4 race. Many of Ireland’s best racers were at this race so the going was always going to be tough. Bob Murray did sterling work for the Scully brothers towards the end of the race, bringing them both up to the final hill in a decent position. On the final climb, the two lads worked hard but didn’t have enough left in the legs to catch the breakaway groups and get in the prizes. With prizes for the top 12, Shane was very unlucky to be beaten in a sprint finish by Eoin Morton of UCD for 12th place. Gary finished not long after in 19th overall. There was better luck for Nenagh CC in the A4 race with Kenneth Kennedy finishing in a fine 2nd place. Kenneth wa leading by himself coming into the last 1km, but couldn’t hold on and had to settle for 2nd. This is no more than Kenneth deserved for all the hard work he has been putting in over the winter. West Coast Wheelers Road Race in Loughrea: We were well represented at this race too with Simon Ryan pulling on the black and white jersey in the A1/A2/A3 race and Keith Butler, Kevin Sherlock, Andy McLoughlin and Con Kennedy lining out in the A4 race. Simon didn’t manage to get into a scoring position in this one but it is still very early for him in the season. Once again, we had better luck in the A4 race with all 4 lads putting in strong performances. Con Kennedy and Andy McLoughlin were very much to the fore through the hills on this race but ran out of stean on the finishing straight. Luckily for the club Kevin Sherlock had judged his race well and surged for the line with 300m to go and bagged himself a podium finish in 3rd place. Adare 10km: Killian Cullagh took part in this race on Sunday finishing in 33rd overall and 1st junior. He must have stopped for a cup of tea half way round! Next races: Our cyclists will be split again next week with some heading up to Meath on Saturday while others will head for the hills in Broadford, Limerick on Sunday. There is still one more weekend before the next Dromineer Duathlon so make sure to keep training hard!